Following a speech-language, occupational therapy, music therapy, or special education evaluation, individual therapy may be recommended based on your child's specific needs. An individualized plan is developed based on your child's needs. Parents or caregivers are highly encouraged to participate in the session. Siblings or peers may also be asked to participate in the therapy session to help your child with generalization of skills. The more opportunities your child has to use the skills with the people he/she interacts with most often, the more likely he/she will improve their skill level. 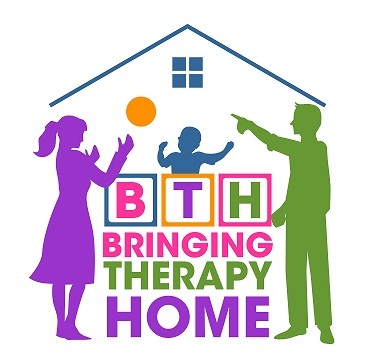 When parents, caregivers, siblings, and peers have been a part of the therapy session, they better understand how to best facilitate the targeted skills, even after therapy has ended. This allows therapy to naturally occur throughout your child's day. Individual therapy sessions typically are 45 minutes in length and may occur once or twice a week. Each session is play-based, highly interactive, and child-directed. Each session will also include providing you with specific strategies to use with your child, describing the reasoning of the session's format, and learning more about your child and your daily routines. Discussion of how to naturally embed the targeted skills into everyday activities is a primary component to Bringing Therapy Home.